Ask anyone in business where they get their best customers and somewhere in the first few sentences you’ll hear “word of mouth”. Ask anyone, anywhere how they found their favorite restaurant and it will likely be by referral. Even our best friends are often the result of meeting through others. What you’ve just witnessed is the power of networking in tbe lives of people. And yet, everywhere you turn, networking is under siege. Local Chambers of Commerce are eliminating networking at an alarming rate. Some network marketing companies are giving networking a blemish, and major publications and business experts decry networking as an evil means to an end. It isn’t hard to find someone cheerfully announcing the death of networking. And it comes as no surprise. For many, networking isn’t something that comes naturally. It’s awkward walking into a room full of people and finding your place. In the grocery line we do our best to keep our eyes on our carts to avoid a chance meeting with someone we don’t know. Networking is, as one person recently told me, “As foreign to me as brain surgery”. 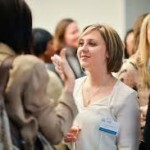 In a recent article on FastCompany.com, Samantha Cole leads with “Why Networking Makes You Feel Physically Gross”. It seems that all that discomfort you’ve been feeling when networking is manifesting itself physically in a not-so-good way. Perhaps you’ve felt it. 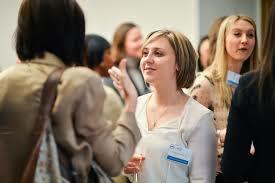 The article sites a University of Toronto study that finds we feel “icky” after networking. It goes on to surmise that networking forms relationships based on our, “…dirtiest motivations: Money and power.” More on that in a moment, but first, let’s dig a bit deeper into the study. Further, they asked a whopping 165 lawyers about their networking habits and found that those who were most powerful were “less grossed out” by networking than those who were less powerful. Notice the inference is that they were all grossed out, just those with power were “less grossed out”. This is where so many get genuine networking wrong. They just can’t help but come back to it being all about themselves. Notice the article suggests you find people interested in you, not you finding people you are interested in. Is this any less sincere? Isn’t this just as “dirty” a motive? You can’t feel “less slimy” when you are focusing on yourself. Genuine networking is interested in self, but consumed with others. When you know how to be genuine in your networking endeavors, you approach each meeting , whether in a room full of people or in the grocery check-out with a genuine interest in others and a servant heart. You know that you will get what you need by helping others get what they want. And here’s a news alert for you: Money and power aren’t intrinsically “dirty”. While there are those who obtain money and power illegitimately, more often money is a measure of service you’ve provided. Those with power in a community earn it through service. It never fails, serve others and they’ll reward you. If you’ll only focus on serving others they will cheerfully give you everything you need. Which brings us back to the beginning. Where do you go to find what you need? Serve others and the answers will appear. And since most people are interested in themselves and their needs, there is a big opportunity out there for those who have a servant heart. Networking to find what people need and how you can help them get it is the best way to find your place of service. So while figures and studies continue to confirm networking’s death, there will still be those who know the truth: Networking, genuine networking, is alive and well and will be for as long as humans communicate.